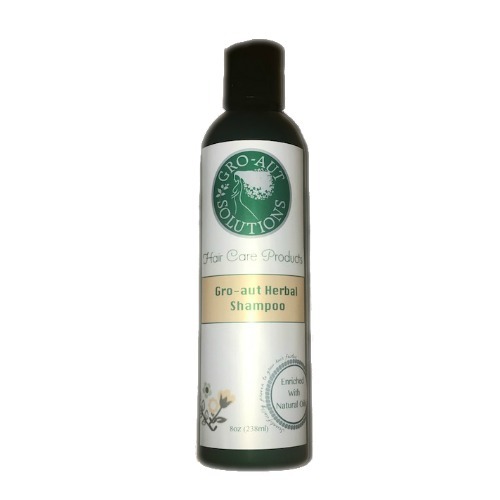 Gro-aut Herbal Shampoo - Like gently washing your hair in the eternal fountain of youth, Gro-Aut Herbal Shampoo cleans hair thoroughly and gently. Formulated to repair hair damage, regular use of this Herbal Shampoo, used in combination with Gro-Aut Oil, will result in your hair seeming to "grow out" overnight! Nourished hair is happy, healthy hair which is what everyone wants. 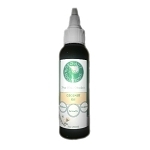 Special herbal nutrients are the "active" ingredients of Gro-Aut Herbal Shampoo, and the way they work is to improve growth at the follicular level, beneath the scalp, which results in beautification and advanced growth of the hair itself. This unique formula comes luxuriously enriched with amla and bhringraj herbs, to help you reach your goal of having the long and healthy hair you’ve always wanted. 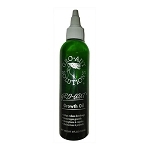 When used with Gro-Aut Hair Growth Oil, impressive results have been reported in as little as 5 days. 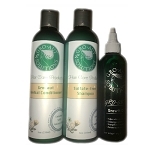 Your Gro-Aut Shampoo Conditioner and Oils are working so tremendously. I will continue to order. My hair has grown out so quickly. Have a blessed day. Gro-Aut Solutions, I do not know where you got the idea to mix these ingredients together or how you even got this company up and running but when I see the results I have had, I thank God that you followed through on the initial idea for this product! Currently my hair is natural and has been like this for almost 6 years! Following 2 years without using Gro-Aut my hair grew from neck length to a little above bra strap length. However, what I suspect was chlorine damage from my work as a life guard in the summer of 2011 put my hair back to shoulder length. I stumbled upon Gro- Aut via Hairlista.com after feeling discouraged with my hair and looking for an update in my regimen that would maximize health, consequently producing length! After two full years of only using Gro - Aut hair oil on my scalp and other healthy hair practices, my hair is at bra strap length! Going from shoulder length to bra strap length in two years is not bad for me! 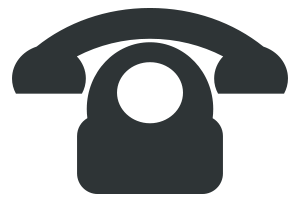 Thank you for following through on this awesome product. I wish you continued business success as your product continues to do what it claims, grow hair! Much Love, Hanifa A. Ingredients: Water, eclipta alba, embelica officinalis, chamomile, shakakai, glycerin, hemp oil, lavandin oil, sea salt, citric acid, vitamin e, cellulose for thickening, a shampoo blend for lathering and a preservative to prevent the growth of mold (Germall plus - Propylene Glycol, Diazolidinyl Urea, Iodopropynyl Butylcarbamate). Our Shampoo blend contains PEG-80 Sorbitan Laureate & Cocamidopropyl Betaine & Sodium Laureth Sulfate & PEG-150 Disodium Chloride & PEG-150 Distearate & Laureth-13 Carboxylate.